The Trump Administration is currently renegotiating NAFTA, a 23-year-old agreement between the United States, Canada, and Mexico. Several controversial proposals have prevented the three nations from reaching a compromise agreement. NAFTA has generated immense value for American producers and consumers by drastically reducing barriers to U.S. exports, integrating supply chains across North America, and helping to solidify the United States’ relationships with Canada and Mexico. Withdrawing from NAFTA would negatively impact over $1 trillion of North American trade, jeopardize 14 million U.S. jobs, expose U.S. businesses to $15.5 billion in new tariffs, and could cost consumers at least $7 billion annually. The North American Free Trade Agreement (NAFTA) was passed in 1993 to lower trade barriers between the United States, Canada, and Mexico. It boosted trade, strengthened the United States’ relationships with its neighbors, and helped to stabilize the North American continent. However, President Trump claims that NAFTA harms the U.S. economy while disproportionately benefiting Mexico, and he began a formal renegotiation of the agreement last August. The fifth round of NAFTA negotiations concluded in Mexico City at the end of November. While the Administration asserts that meaningful progress has been made, reports suggest that the United States, Canada, and Mexico are struggling to reach a conclusion after several controversial proposals were presented. For example, the United States proposed a change to current content requirements (called rules of origin) detailing what percentage of automobiles must be made in North America to qualify for tariff benefits. Specifically, it proposed that rules of origin for automobiles be increased from 62.5 percent to 85 percent and that half of all automobile content traded under NAFTA be produced in the United States. This is controversial; both Canada and Mexico have come out against this proposal, as well as the U.S. and Mexican auto industries. A drastic increase in U.S. content requirements in automobiles would disrupt cross-border supply chains and raise the cost of production. Estimates also suggest it would eliminate 24,000 U.S. auto jobs. Dispute settlement is another potential sticking point. Chapter 19 of NAFTA outlines an arbitration procedure that allows NAFTA members to challenge anti-dumping and countervailing duties (AD/CVD) placed on their products. These duties are often placed on underpriced imports, either due to a global oversupply of the product or government subsidies in the exporting nation, to bring the price up to fair market value. Under a chapter 19 dispute settlement, a binational panel of trade experts from NAFTA nations can review the fairness of AD/CVD measures. The Trump Administration views chapter 19 as barrier to the United States enforcing its own trade laws, and eliminating this dispute settlement mechanism is a major objective. However, Prime Minister Trudeau has indicated that Canada would walk away from talks if chapter 19 is jeopardized. The United States is also seeking to “rebalance the benefits” of NAFTA. Practically, this reflects President Trump’s desire to lower bilateral trade deficits with Canada and Mexico. This is a misguided goal: the trade deficit reflects macroeconomic factors and is not directly influenced by U.S. trade agreements. After the last round of negotiations, the U.S. Trade Representative expressed doubts that Canada and Mexico are “willing to seriously engage on provisions that will lead to a rebalanced agreement,” a stance that may threaten negotiations moving forward. While there are several major hurdles to successfully renegotiating NAFTA, reaching an agreement is critical for the U.S. economy. Since the pact went into effect, the U.S. goods trade with Canada and Mexico has increased from $293 billion in 1993 to over $1 trillion in 2016. In real terms, the value of goods trade has almost tripled. Estimates suggest that this trade supports nearly 14 million U.S. jobs, and that the increase in trade directly generated by NAFTA supports 5 million jobs. Furthermore, NAFTA has drastically reduced barriers to U.S. exports. When NAFTA went into effect in 1994, the average tariff on imports from Mexico was 4.3 percent, while the average Mexican tariff on U.S. imports was over 12 percent. A U.S. withdrawal from NAFTA would have dramatic consequences. A recent survey finds that Wall Street investors strongly believe withdrawing from the trade agreement could send the stock market into a tailspin by harming employment, equity valuations, and economic growth. The Peterson Institute for International Economics estimates that withdrawal would cost 187,000 U.S. jobs. This would most severely impact the auto, agricultural, and non-auto manufacturing sectors. A new report from BMO Capital Markets (a Canadian investment bank) also finds that, while the United States would likely fair better than Canada or Mexico, terminating NAFTA would severely impact consumers in all three nations. The report estimates withdrawing from NAFTA could increase the price of a new car in the United States by at least $1,000. NAFTA eliminated virtually all tariffs on North American trade. Withdrawing from NAFTA would reverse these benefits and cause U.S., Canadian, and Mexican tariffs to rise. These new import taxes could take the form of Most-Favored Nation (MFN) tariffs – the tariffs which members of the World Trade Organization (WTO) agree to impose on one another when no other trade agreement is present. They could also rise to the level of bound tariffs – the highest tariffs acceptable under the WTO. These tariffs are negotiated upon each country’s entry into the WTO, and any tariffs above these levels would face court challenges. If all three nations in North America were to revert to MFN tariffs, the United States would face the highest taxes on its exports. This is particularly true for U.S. exports to Mexico, for which tariffs are on average five times higher than in the United States and can be up to 70 times higher for certain coffee and tea products. The level of MFN tariffs which the United States can impose on other WTO members averages 2.9 percent, while average MFN tariffs in Canada and Mexico are 5.5 percent and 8.3 percent, respectively. If bound tariffs are imposed, the United States could face average tariffs of 35 percent for goods sold to Mexico. Meanwhile, the United States can only impose average bound tariffs of 5.6 percent on Mexican goods. In both cases, U.S. exports related to food and agricultural would be disproportionally harmed. It is also important to consider the potential impacts of increasing barriers to imports. Imports give consumers access to a wider variety of goods. Due to international competition, these goods are often available at lower prices and higher quality. Similarly, U.S. businesses rely on imports to fuel their own production: More than half of all imports are intermediate inputs used by manufacturers to produce final goods. Without imports, the cost of production would be much higher and consumer prices would rise. To determine the potential impact of a NAFTA withdrawal on U.S. consumers, the American Action Forum (AAF) applied product-specific U.S. MFN rates to current import levels. Then, we assume that businesses will maintain these import levels and pass 100 percent of the tariff burden onto consumers. This is an upper-bound estimate; the United States would likely shift away from Canadian and Mexican imports and toward either domestic production or imports from other sources. However, this analysis does not take into account the increased cost of domestic production, nor does it estimate the loss to the economy that would occur from reduced U.S. exports. While NAFTA governs most of the trade within North America, not all goods traded between the United States, Canada, and Mexico are subject to tariff benefits. This is because some traded goods do not meet rules of origin or other requirements under NAFTA. Therefore, AAF obtained NAFTA utilization rates from the U.S. International Trade Commission. MFN tariff levels for the United States come from the WTO, which publishes tariff rates on all commodities for its member countries. The value of U.S. imports from both Canada and Mexico was found at the U.S. Census Bureau. The table below displays the percentage of goods imported from both Mexico and Canada that were traded under NAFTA in 2016. This percentage was applied to the total value of imports in 2016 to obtain the dollar value of imported goods under NAFTA. We then multiplied the value of NAFTA imports for each commodity group (defined by HS classification codes) by commodity-specific MFN tariffs in the United States to calculate the additional tariff burden. In 2016, over 50 percent of goods imported from Canada and 60 percent of goods imported from Mexico were traded under NAFTA. This equates to $320 billion worth of imported goods, which represents the value of U.S. imports that would be threatened in the case of a NAFTA withdrawal. By applying U.S. MFN tariff levels to this value, AAF found that withdrawing from NAFTA and increasing import taxes could cost consumers over $7 billion per year. NAFTA is exceedingly valuable for all those involved in the agreement. The United States trades over $1 trillion worth of goods with Canada and Mexico and an additional $140 billion in services. Furthermore, exports to Canada and Mexico make up almost 35 percent of total U.S. exports. NAFTA has stimulated the economy, generated U.S. jobs, benefited consumers, and helped to solidify relationships with our allies. Withdrawing from NAFTA would not only harm the U.S. economy and create complexities in cross-border trade with Canada and Mexico, but would also reverse much of the strategic progress that has been made with our border nations. 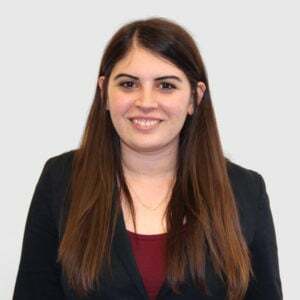 Jacqueline Varas is the Director of Immigration and Trade Policy at the American Action Forum. International trade is a valuable asset. It leads to greater efficiency, economic growth, and higher wages.